Rinse and dry shrimp. Cube avacado into 1/2 inch cubes. Slice lemon into 1/2 inch slices. Set aside. Combine Katchup, Horsedish, Worshrershire, Lemon juice and Syracha sauce in a medium bowl. Mix together. Set in refrigerator. 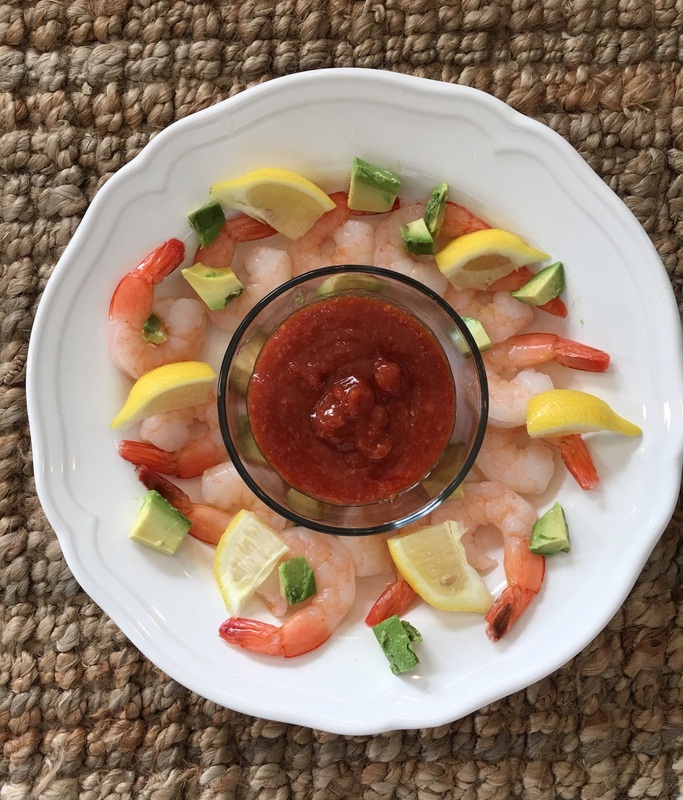 Arrange shrimp along the outside of a serving tray. Place sauce serving dish in the center. Sprinkle avacado and lemons around avacado. Scoop cocktail sauce into the center dish. Serve! To eat squeeze lemon on shrimp. Dip in cocktail sauce and place avacado on top. Enjoy!